Spreading your business in a tough economic environment is never easy. Being a business owner one has to deal with multiple tasks like keeping up with products, services, and competition, besides maintaining a two-way communication with customers. Current trends indicate that users are increasingly going mobile and one of the best ways to connect with them is through mobile apps. 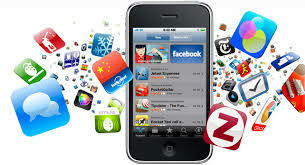 A report by Flurry suggests that consumers are spending more time on mobile apps than on the web. Flurry found that in June, consumers spent 81 minutes per day using mobile apps, compared to 74 minutes of web surfing. The shift comes because of a large number of users purchasing smartphones and tablets. Similarly, a February 2012 Forrester research entitled, “Mobile Marketing: Three Principles for Success,” said the number of consumers researching products for purchase using their mobile device has nearly doubled from last year. This indeed makes a mobile marketing strategy crucial for any interactive marketer. Organizations of all sizes and nature are now embracing the revolution called mobile apps. A clear and intuitive app, designed intelligently, can do wonders for a company if the approach is correct. Here are some ways that you need to keep in mind while delivering a powerful app experience that could be a game changer for your business. Today, no consumer business can ignore the potential of reaching out to customers through mobile applications for customer service, marketing and now payments. But before you start, you need to remember that great user experiences doesn’t just happen overnight. It takes a conscious effort throughout every stage of the design and development process to get it right. • Prioritize and present core features of your app. For a pizza chain like Domino’s, which already has apps on both iOS and Android, it could be convenience and delivery. The Domino’s Pizza app allows you to place an order for delivery or carry-out. You can also choose to select from its specialty pizzas or build your own. A striking feature of the app is the pizza tracker, which allows users to check whether your order is in the delivery process or not. • You can opt for geo-location feature. The feature provides a rich experience to a user since it gives relevant data based on your location. One such example is Shopkick, an advanced geo-location social shopping application. A recent survey of 5,000 Android and iPhone users conducted by consumer insight group Nielsen, placed Shopkick at top of the list in the category that engages shoppers the longest, being used by consumers for three hours on average. Shopkick is a free location-based rewards application that offers its users “kickbucks” (rewards) when they check-in at participating businesses, and when they scan the barcodes on specific products. These kickbucks can be redeemed for restaurant vouchers, retail gift cards, movie tickets, and more. • Besides functionality, you also have to focus on providing the right type of content to your users. Apple’s own User Interface Guidelines suggest that to make an app that people will care about, one need to focus on content. For this you need to first draft a statement of intent for your content. Identify how will your content promote your business objectives and meet the customer needs. Remember the objective of this exercise is to demonstrate to your audience why you matter. Also, if you want to run a social media contest to promote your app, make sure you market your campaign or contest across multiple platforms like: social media accounts, your website, your partners, all of your e-mail list, related forums, etc. A mobile app is probably one of the best ways to inform your customers about new products and services that you have already launched or about to launch in the market. In this era of cut-throat competition, a key element of an effective marketing strategy is to create the buzz around your product. Offering users discounts and offers will prompt them to visit you more often and spread the good word as well. No doubt an app is a wonderful way to connect with your customers, but the idea won’t work unless it is visible to masses. The usual trend is that developers only submit their app to their respective marketplace. To make it more visible you can create a dedicated website, build a splash page, Facebook fan page, Twitter account, get a blog, do a sneak peak, or create teaser videos. For further assistance on mobile app marketing, you can contact us.